Valentine's Day is tomorrow my friends. My husband and I aren't big on celebrating Valentine's Day, give me a box of Turtles, not the heart shape box but the regular box, and we are all good! 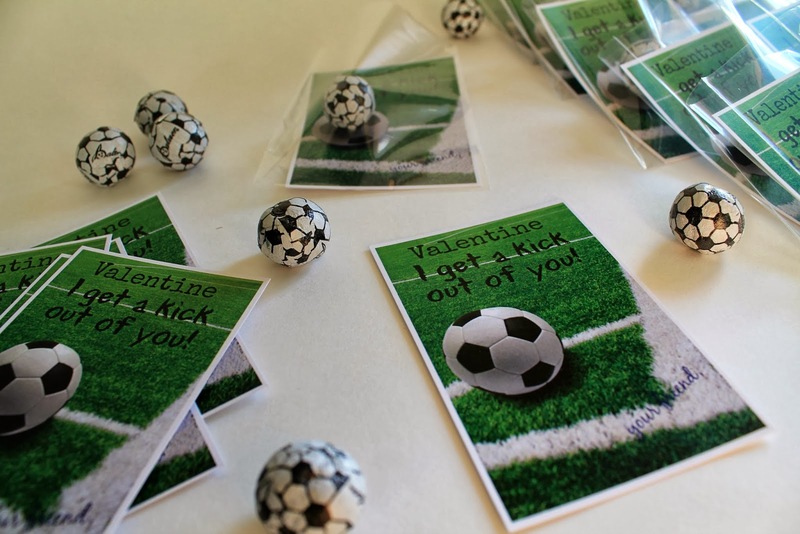 I do however love to make cards and treats for my kids to pass out to all their classmates. 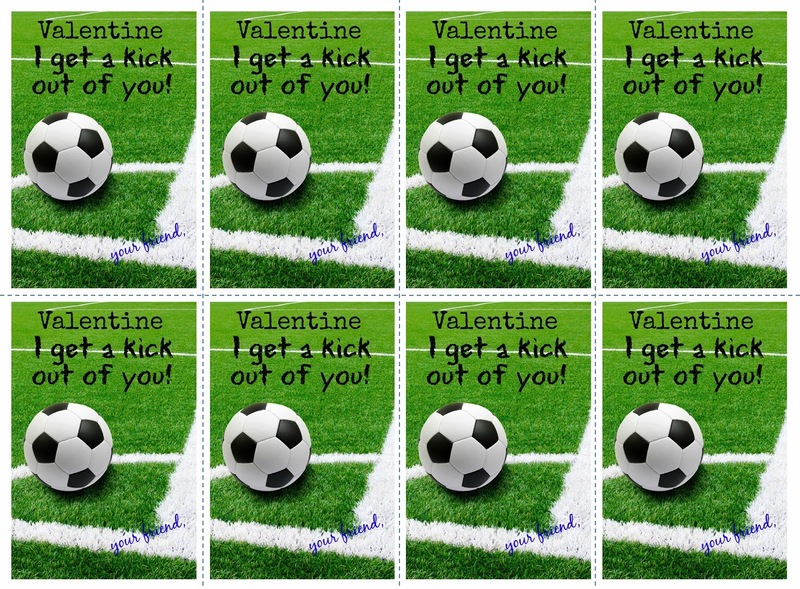 This will probably be the last time my oldest son hands out valentine cards to his class as a whole. Cause who passes out cards in middle school except for my daughter. Lol! With this realization in hand I wanted to do something epic for him like designing personalized airplanes but he just wasn't feeling that idea. He's getting older and I didn't have time to totally immerse myself in designing something too intricate so I turned to my go to editor PicMonkey. Soccer is always a win, win. 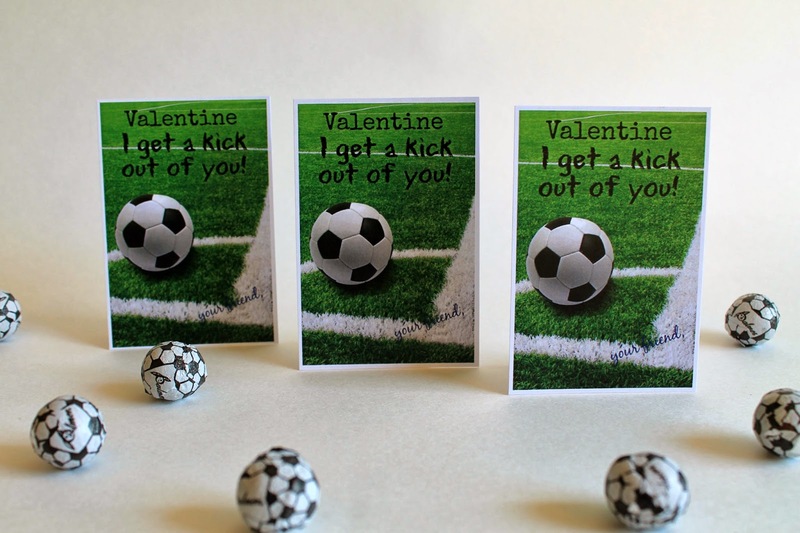 He loves soccer and the spring season is vastly approaching. I like how they turned out. They are not cute, which was a requirement. Shh, I still think they are cute! 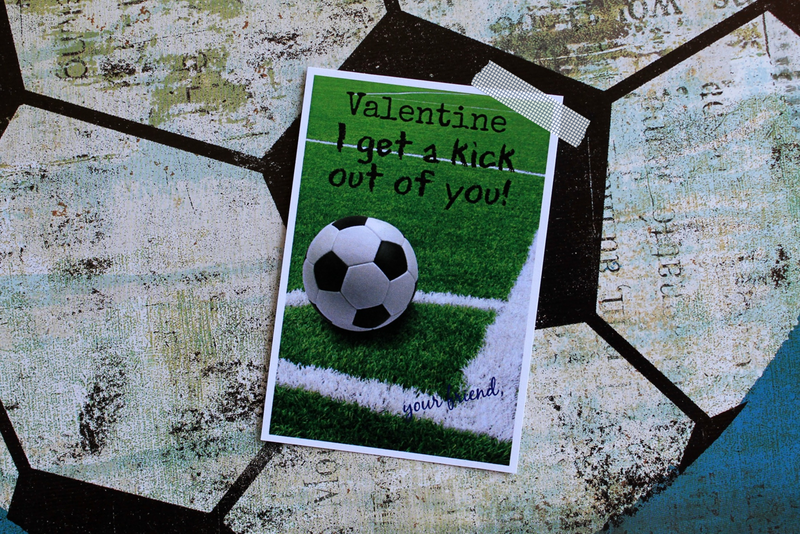 If you find yourself unprepared for tomorrows classroom festivities, I'm with you cause these are hot off the press, here is a printable soccer valentine for your young soccer fan. So fun! And I'm so bad because we did nothing. Ended up not being a problem because they have no school anyways and we are snowed in. Happy VDay! Love that it's so BOY-ish and UNIQUE! Thanks for sharing!